Focus Flanders can organise any custom tour you require, but to give you some ideas and get your imagination going, here are some examples of our most popular guided tours in Belgium, day trips from Brussels, city tours and excursions in Belgium. Historic city centres, strolls through narrow streets full of old-world ambiance, centuries-old architecture, European grandeur, romantic canal cruises, beer and chocolate tastings, diamonds, a sophisticated coastline, Belgian beaches, and world-famous statues of a demon and a little boy answering nature’s call… your group will find it all on our 3 or 5-day tours of Belgium’s major cities. Let us tempt you with our suggestions… but make up your own mind about the details; you know your customers best! 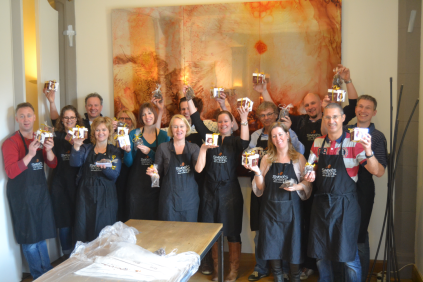 Learn everything there is to know about real Belgian chocolate on this guided Brussels Chocolate Tour. Select, taste and decide for yourself if Brussels is rightfully called the capital of chocolate. This tour is a must for every chocolate lover out there. 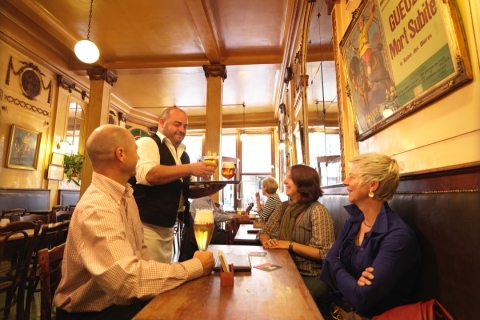 Learn everything there is to know about beer on this Belgium Beer Tour. Select, taste and decide for yourself if Belgium indeed produces the best beer in the world. This tour is a must for every beer lover out there. From 2014 to 2018 we remember the 100th anniversary of World War I, better known as the Great War. This war brought suffering and destruction throughout Flanders. Explore with us the most important sites of WW1 on this exclusive Flanders Fields tour. Make this Spring a happy one, and come enjoy the sights and smells of Flanders’ parks and gardens when your group takes part in one of our Garden Tours Belgium. You’ll be surprised how many Belgian gardens can be found in and around Belgium’s famous historical settings. 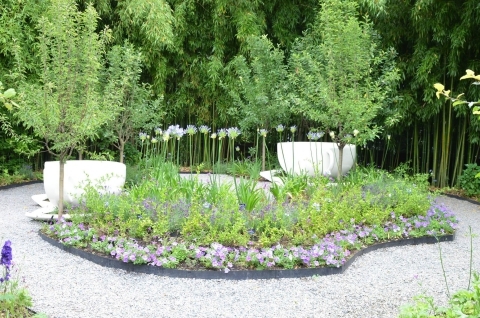 The 2016 Floralies tops it all off with a city festival in the old city of Ghent that combines inspirational gardens with awe-inspiring art installations. 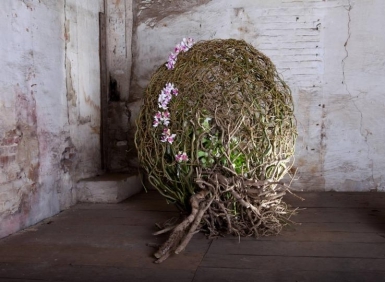 The 2016 Floralies in Ghent (Friday, 22 April through Sunday, 1 May 2016) will be a true city festival, vibrant and interactive, and filled with flowers and plants. The historical city of Ghent and in particular its famous Arts Quarter will serve as an atmospheric backdrop, where your tour members will enjoy inspirational gardens combined with awe-inspiring art installations. The sights and smells of the Floralies Gardens will please visitors of any age. During your pilgrimage tour to Belgium our professional guides will place Belgium in a new light: a country that is full of unique religious sites that draw visitors from all over the world. From Belgian monasteries to Belgian shrines, our tours attract both those groups looking for a catholic tour as those interested in historic cultural and architectural sights. 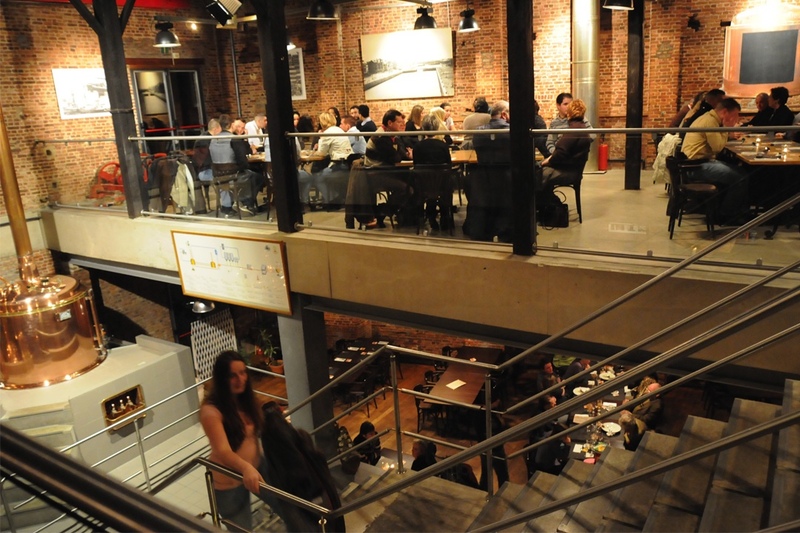 Have you ever heard of Gruut beer, waterzooi, neuzekes, Flemish foodies or jenever? 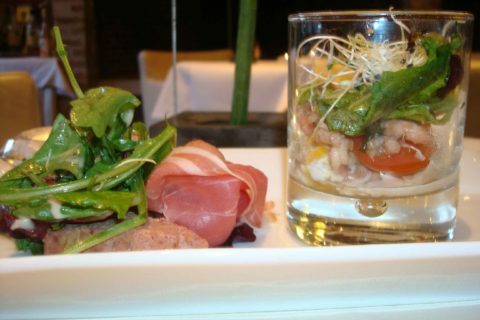 Well, at the end of this 3-day Belgian food tour and culinary walk, your whole group will be well versed in these important elements of Belgian cuisine. You will enjoy every culinary minute, learning about, eating, preparing and tasting the best food Belgium, and in particular Ghent, has to offer. Did you know that Belgium has more castles and fortresses per square mile than anywhere else in the world? 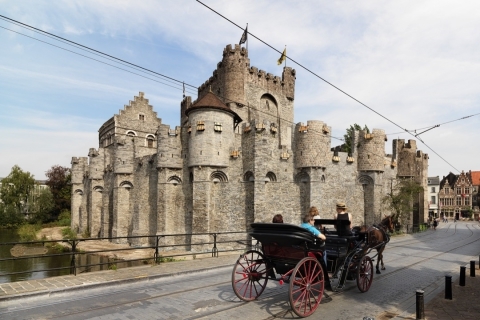 For those groups that would like to go back in time and experience what life was like then, admire architectural sights that are hundreds of years old (dating back as far as the 8th century), or stroll through impeccable gardens, this 7-day Belgian Castles Tour is it! The tour is filled with Belgian castles and gardens, located both in cities and in the countryside. Your guests can even sleep in real medieval castles, all top-ranked and the best in the country. Are you ready for a cycling adventure in Belgium? Join us and see Belgium from a different point of view, literally! Focus Flanders has many different ‘Belgium Bicycle Tours’ available; there’s something for everyone. We offer leisurely tours that last a few hours or a day, or more strenuous ones that continue for several days. 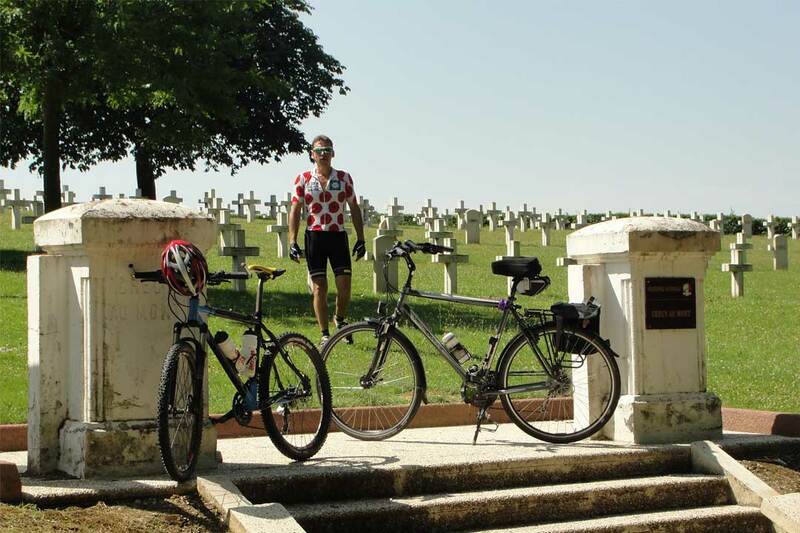 Ask us about our Ypres bike tours with full-day cycling in Ypres and surroundings. 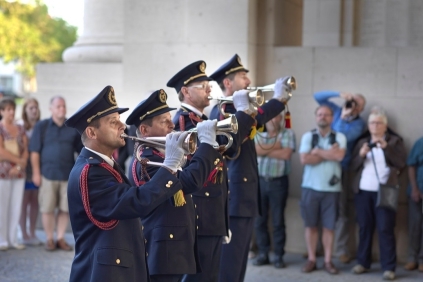 The Great War tour (35 or 50 km) will guide you along the infamous Great War battlefields, and you’ll wonder how this tragic event could ever have happened… The fully restored city of Ypres however, with its four great battles during that war, is now a centre of peace! This highly original 5-day tour, where your group will travel through Belgium by train, and will sleep in the new Train Hostel Schaarbeek, will delight railway enthusiasts young and old. 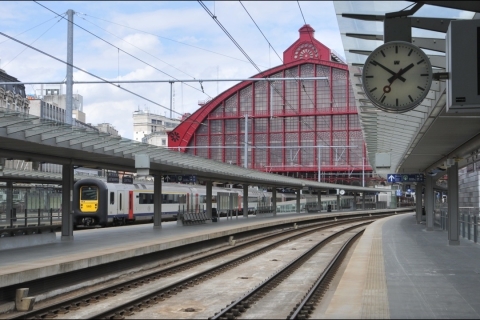 Train travel is kind of magic … and we will immerse you in everything having to do with trains! You will visit the historical cities of Brussels, Bruges, Ghent and Antwerp, and on top of that, you’ll go to see the newly opened Train World Museum in Schaarbeek (Belgium’s national railway museum), where you can admire the oldest preserved locomotive in Europe. A boat trip on the Lys River as from Ghent towards Deurle with a historical ship from the 18th century! 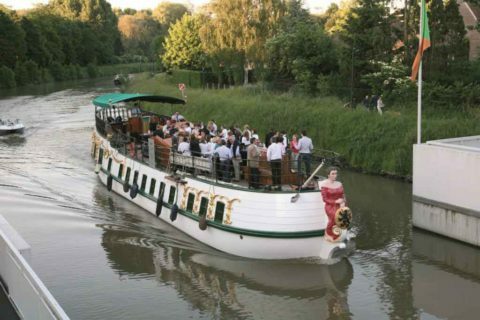 The romantic dinner cruise Ghent combines a boat trip on the Lys River from Ghent towards the center of Latem with live music! 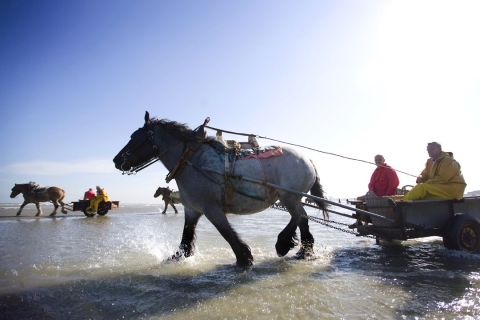 Focus Flanders specialises in arranging corporate incentive travel programmes in Belgium. We don’t just meet your goals, but make sure your guests have an unforgettable experience by adding value to your incentive programme. 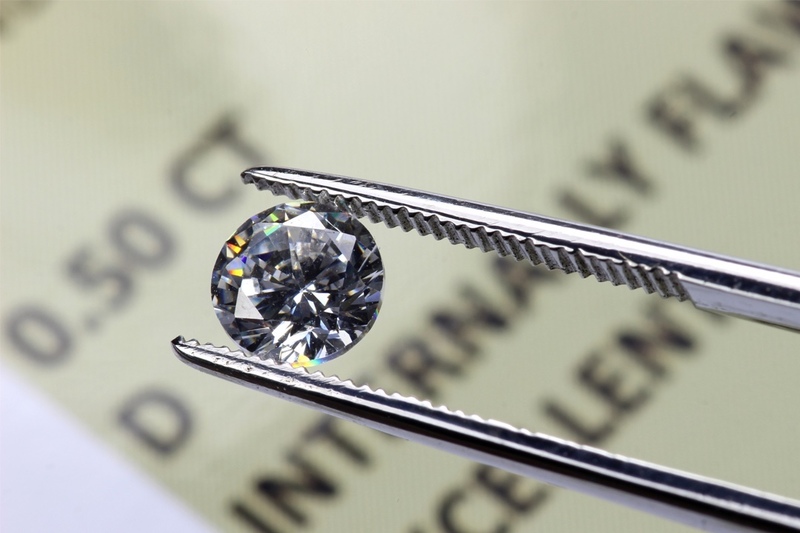 We understand that each client and their needs are different and that is why we create custom incentive programmes. Here are some examples of our most popular team building activities, sightseeing excursions and dinner shows in Brussels, Bruges, Ghent and Antwerp. Contact us for more information on our incentive programmes, tailored to your needs. The Belgian capital, Brussels, has world-class art museums, city parks, and a vibrant nightlife. As part of its unique status as the capital of Europe, Brussels hosts the official seats of the European Commission, European Council and the Council of the European Union. 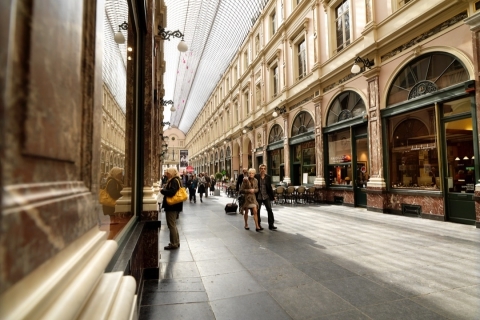 This makes Brussels an ideal destination for both leisure visitors and the MICE market. We will show you the top things to do in Brussels, Belgium, and will help you plan your trip around town. Whether you’re looking to plan a one-day getaway, a multi-day stay or a group vacation, Focus Flanders will give you the feeling like you’ve really immersed yourself in this delightful city. Contact us for more information on things to do in Brussels tailored to your needs. 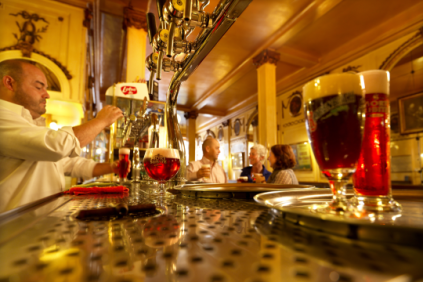 Did you know that in the year 1900, Belgians drank an average of 200 litres of beer each year? Today, this was brought down to ‘only’ 84’ litres per person, still an impressive amount. In this small country, there are approximately 180 breweries, from microbreweries to international giants exporting Belgian beer all over the world. We’re not sure how many pubs there are in Belgium, but we’ll show you the best bars and pubs in Brussels, and have you taste Brussels’ best beer. We will take you on a chocolate lover’s dream tour and tell you everything you need to know about the Sablon, about beer, chocolate and champagne. Have you ever wondered why Brussels is famous for its chocolate? Now is the time to find out! Teams traverse through the streets of Brussels in search of the history and culture that brought this beautiful city to life. Each team receives 25 tasks that they have to complete. What would you do? Would you go for far away spots firsts or the ones nearby? 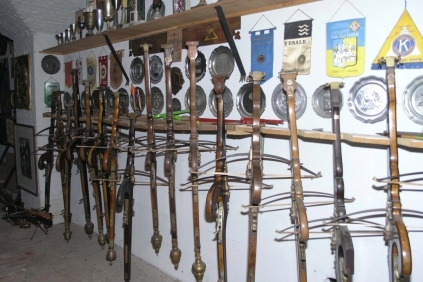 A team building activity involving crossbow archery might be perfect for your next corporate outing. It’s remarkable how many people have always wanted to try it, and now they can! 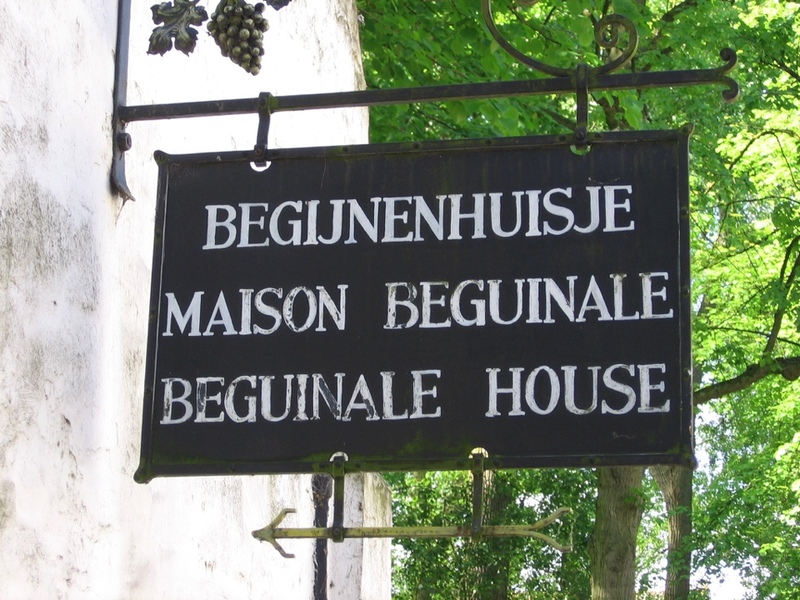 We will take you on a medieval trip to the oldest guild of Belgium. 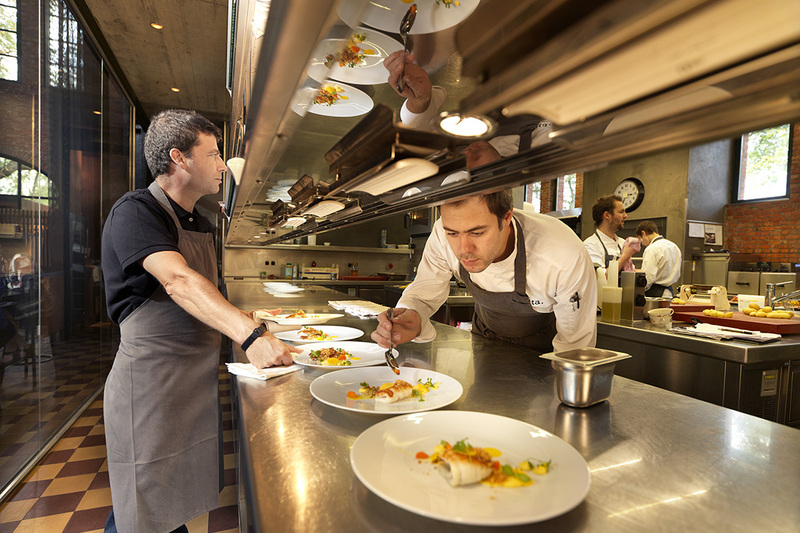 A private culinary walking tour that combines a visit of Brussels on foot with dinner served in 3 different restaurants. Visiting the medieval town of Bruges feels like visiting an open-air museum. With its medieval street plan, its famous canals that gave the city its nickname ‘Venice of the North,’ and its old-world squares, court yards, cathedrals and belfries, and of course its art, chocolate and breweries, Bruges will appeal to visitors of all ages, to leisure visitors as well as the MICE market. We will show you the top things to do in Bruges, Belgium, and will help you plan your trip around town. Contact us for more information on things to do in Bruges tailored to your needs. If you’re looking for an incentive travel program in Bruges that combines city exploration and knowledge-testing in order to win a title, chocolate workshops, sand yachting, kiting and other beach sports, private canal cruises, medieval entertainment and culinary delights, you’ve found it! This Incentive trip Bruges offers the perfect combination of energizing team-building events, unique, local and authentic entertainment, and delicious, regional meals. 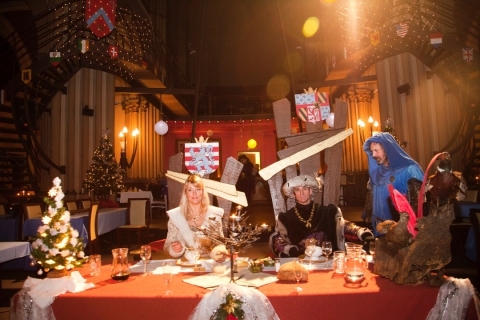 A magnificent banquet in a grandiose setting, a dozen spectacular attractions, medieval costumes and music, delicious food and drinks. You are way out of the 21st century back to 3rd July 1468. 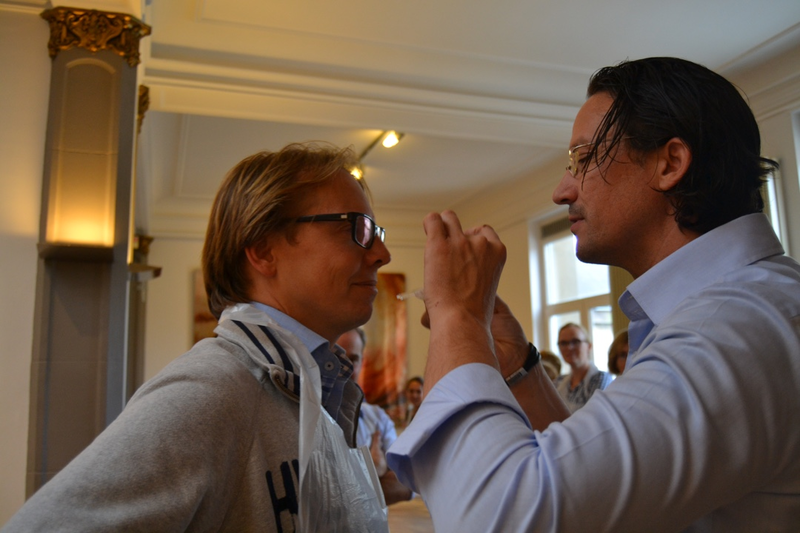 Culinary evening tour Bruges – Hoppas formula! Add an original culinary touch to your weekend or short stay in Bruges, Belgium with a ride through Bruges by horse tram, a stop for a beer tasting and dinner with HOPPAS! The medieval city of Ghent started out as city-state. Today, Ghent still displays many of its medieval landmarks, for example the 12th century Gravensteen castle, and parts of the city still maintain its original medieval street plan. Ghent is proud to be called the ‘third most authentic city worldwide,’ and several of its buildings are on the World Heritage list. But besides all that history, visitors from all over the world love coming to this city for its atmosphere, its food, its beer, and entertainment options. 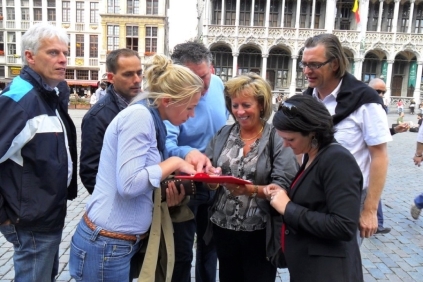 Focus Flanders will help you decide what to offer your group in this historic city; we’ll plan your custom trip from the moment you arrive, until you leave. 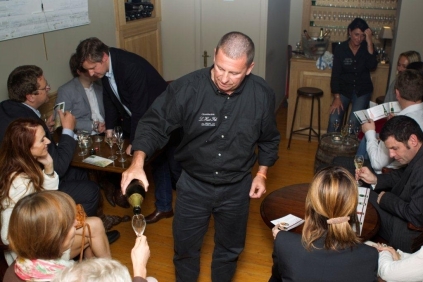 Whether you’re looking for an evening program, a culinary tour that will delight your guests, an incentive trip for your best customers, a multi-day tour or a group vacation, Focus Flanders is at your service! We know this city like no other. Please send us a quick note and we’ll make sure your customers will get to know the real Ghent. This guided tour through the historic city of Ghent will treat your taste buds to many of the region’s culinary delights. 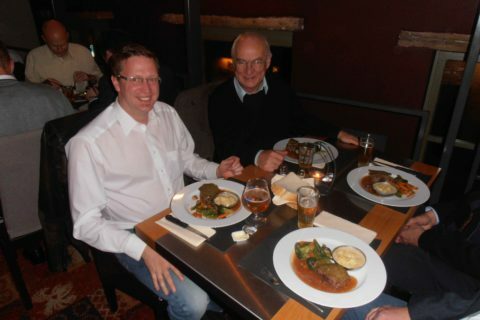 We will serve your group with carefully selected dishes, served in 3 or 4 different typical Ghent locations. Our Ghent food guide will steer you through Ghent’s meandering roads, along many of the city’s famous sights. You learn, you eat, you learn, you eat… and you will enjoy! 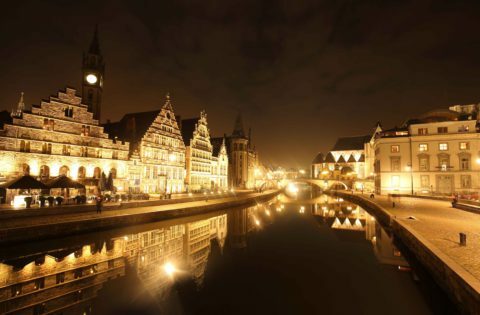 An evening walking tour in Ghent during which you will discover the most important sightseeing places, the red light district and the Belgian beer and food culture. Did you know that the National Geographic Traveller listed Ghent, at the confluence of the Scheldt and Lys/Leie river, as the third most authentic city worldwide? Or that this medieval city is the proud owner of several buildings on the World Heritage list? You won’t believe the large variation of building styles on display, from flamboyant Gothic to sober Renaissance. And did you know that it has neighbourhoods where the original medieval street plan is still intact? That it has a castle built in 1180? A city centre where you can enjoy a romantic canal cruise and admire the city from the water? Gabled guild houses that line Ghent’s historical streets…? The city of Antwerp, the most populous city in Flanders, is Europe’s second largest harbour, and the diamond capital of the world. It is proud of its world-famous cathedral and other buildings dating from the Middle Ages. You can get ‘lost’ in its medieval street plan, or in its famous shopping streets. 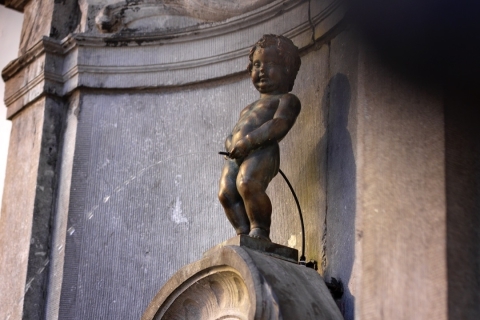 Visit the Antwerp Brabo Fountain, taste Antwerp’s handmade chocolates, or visit the Ruben’s residence. Of course, a brewery tasting cannot be missed! Whatever you decide to do, Focus Flanders and its knowledgeable guides can assist you in the planning of your trip. Our thorough knowledge of and love for this beautiful city comes out in our custom programmes; it’s what we do best. We’ll help you organize your group tour, your important incentive trip, your culinary tour for special guests, or your favourite multi-day tourist trip. Just send us a quick note, and we’ll get right back to you! Antwerp, the medieval international port city on the Scheldt river (and Europe’s second largest harbour), will surprise you with its diamonds, ladies, and cathedrals: the centuries-old Diamond District, the eclectic ‘Railway Cathedral’ train station, the Cathedral of our Lady (St Mary’s cathedral), and the full-figured ladies painted by world-famous Baroque painter Rubens. 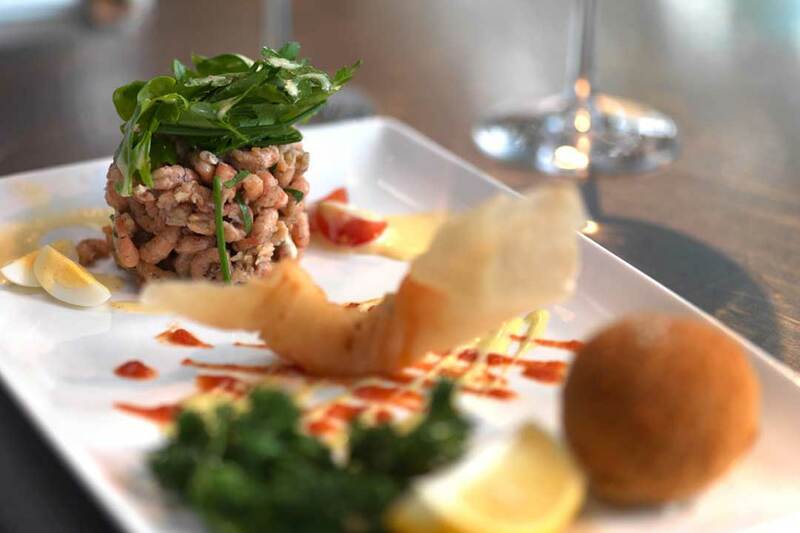 Let us show you the gastronomic side of Antwerp. This medieval city, Europe’s second largest harbour, famous for its diamond district, world-renowned fashion designers, medieval city centre and baroque painters, has a thriving culinary scene as well. 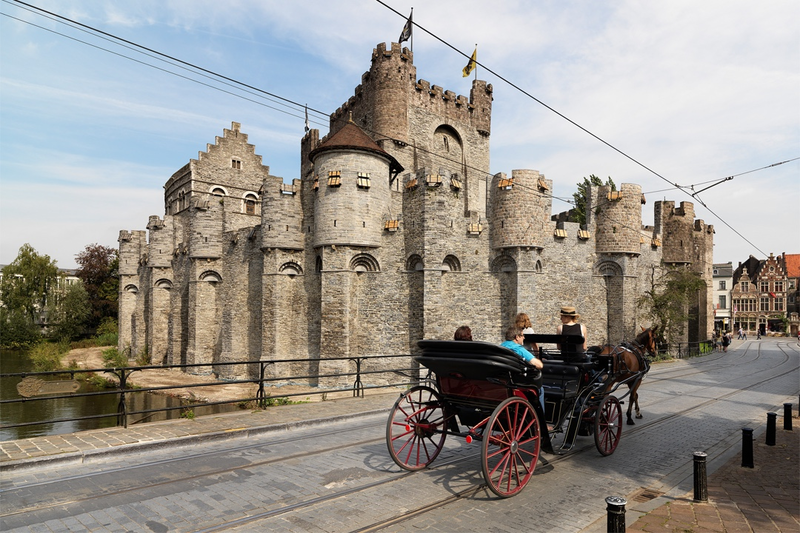 Your group will travel the city in style, by horse tram, and delight in a gastronomic journey, enjoying three courses in three different locations: an appetiser in an Antwerp city brewery, the main dish in a typical local restaurant, and dessert in a 15th century storehouse! Our guided segway tours are without a doubt the coolest and most fun way to discover this magnificent city. 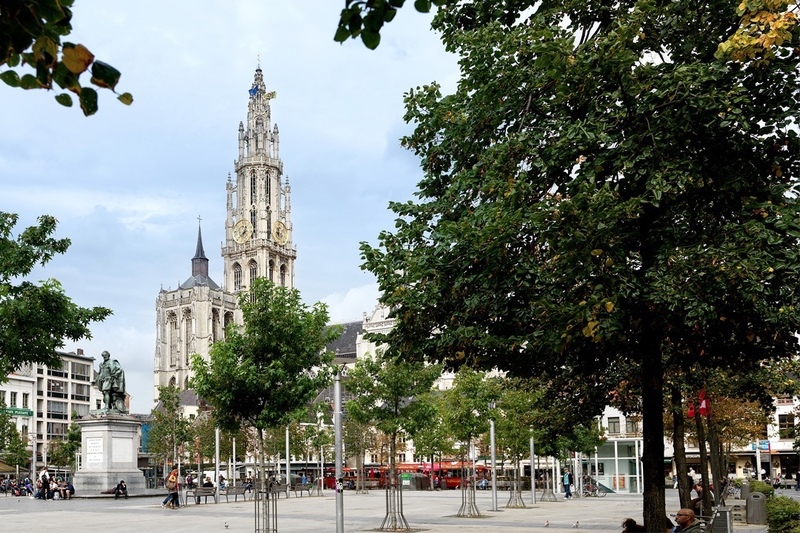 For a period of two hours, we’ll ‘slide’ our way through Antwerp’s historical centre and enjoy the sights. Our guided segway tours are also available in Brussels, Bruges and Ghent.